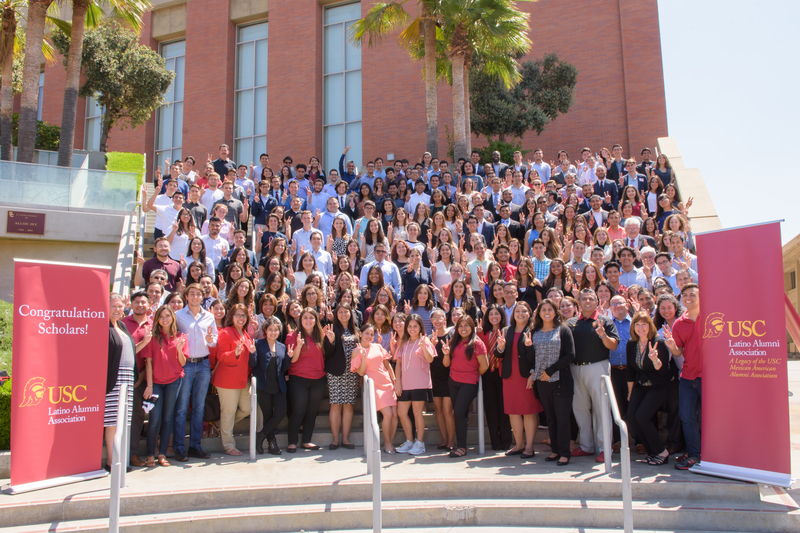 Over the past 43 years, the USC Latino Alumni Association has awarded more than $16 million and provided 8,400 scholarships to USC Latino students and those committed to the Latino community. The USC Latino Alumni Association provides partial-tuition scholarships to USC undergraduate and graduate students who have demonstrated a strong commitment to the Latino/Hispanic community. Graduate scholarships are for master’s candidates only and limited awards for Juris Doctor, pharmacy, and medical doctor candidates are available. Scholarship awards range from $2,000 to $5,000 per academic year for undergraduate students and $1,000 to $5,000 per academic year for graduate students. A number of factors are considered by the Scholarship Committee, including a student’s involvement in activities and service at USC and the community. We are particularly interested in funding students who have demonstrated a commitment to the Latino community, shown leadership potential and have exceptional academic and professional potential. Scholarship applicants must be enrolled as full-time students: undergraduate students must complete a minimum of 12 units per semester with a 3.0 cumulative GPA and graduate students must complete a minimum of 6 units per semester with a cumulative 3.0 GPA. Scholarships are awarded on the basis of need and/or merit. A needs assessment and overall financial aid package will be evaluated to determine the amount of assistance provided by the USC Latino Alumni Association. Undergraduate students who are awarded scholarships must complete 15 credits of volunteer service/involvement with USC Latino Alumni Association during the academic year. Scholars must also register with the USC Career Center. Undergraduate scholarships renew automatically each year provided that the student fulfills the credit requirements and maintains a 3.0 GPA. Graduate students do not have to complete credits, but it is highly encouraged that they participate in USC LAA events. Graduate students must reapply each year to be considered for the scholarship. Scholars receive 50% of their award during the fall semester and 50% in the spring semester. All decisions by the Scholarship Committee are final and irrevocable. Please contact the USC LAA office at 213 740-4735 if you have any questions. Click here to see photos from our latest Scholars Retreat. To apply, click here. Deadline for submission is March 1, 2019.